View your overall dashboard summary. 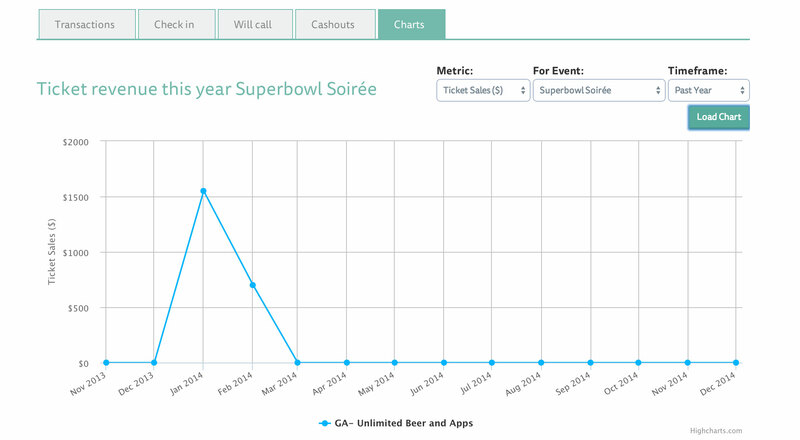 Quickly digest key event metrics like total events hosted, total tickets sold, and total funds collected. You can also view all of these metrics on an event-by-event basis from the summary page. View recent transactions for your events. You can choose to view all transactions together, or sortby event. You can search for transactions by guest name, event name, date / time, and ticket total. Hosts can refund guests themselves – either wholly or partially – right from the dashboard! If you fully refund an attendee, they will be removed from the guest list. And to top it off, there is no fee or additional charge to refund your attendees. You can now also resend confirmation emails and edit answers from the transactions tab. To resend a confirmation email, tap the grey envelope button. You can resend to the original email address used for the transaction, or you can resend the confirmation to a completely separate email by entering the desired destination in the text field. To edit answers, tap the grey pencil button. You will see all relevant event answers. To make any edits, just find the desired question, change the answer, and press save. You’re all set! Run check-in for your event. Once you select the relevant event, you can search for a users name, check them in, and view the time that they were checked in. You can also un-check-in a user if you so choose. Of course, our robust mobile check-in system is still fully intact. Consider this your web platform admin view. We’ve added Will Call for your event. When creating a ticket, you now have the option to designate that ticket as a will call ticket. If a guest purchases a will call ticket, they will receive a will call receipt, not an actual ticket. They can use this will call receipt to pick up their event bracelet, pass, or other form of ticket at will call. From the dashboard, you click the will call tab, select your event, and check in all of your will call guests. If you guest does not have their receipt on them, you can pull up their receipt which contains the last 4 of their credit card number in order to validate. 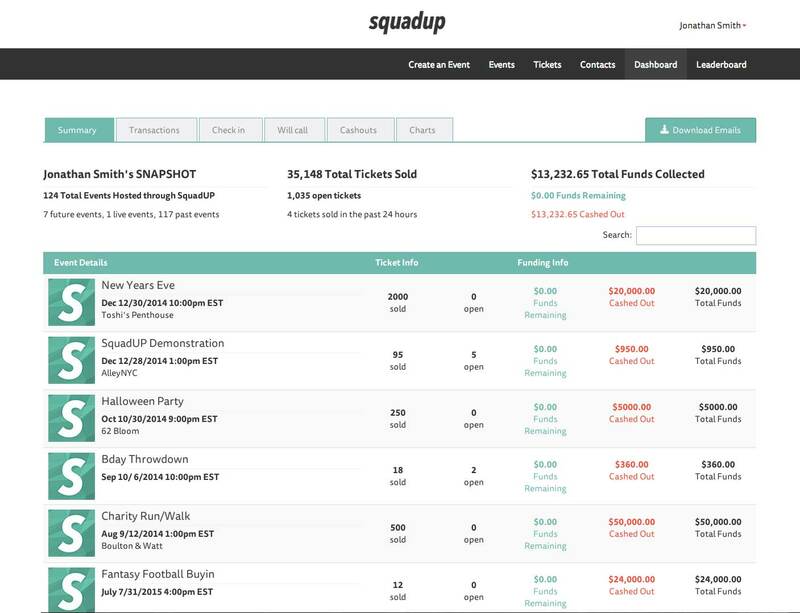 Cash-outs are now in one place, which makes life especially easy for people hosting multiple events on SquadUP at the same time. Quickly see which of your events are eligible for cash-out and initiate your cashout request from the dashboard. Charts for days. Have you ever wanted a high end overview of all of your events? Or the ability to track specific metrics for one event in particular? From the charts tab, you can choose your metric, your event (or all active events), and the time frame. The requested data is instantly displayed in an easily digestible chart. Ticket Brokers Sell Tickets They Don’t Even Have! Become a “Short-Selling” Expert.